A domestically-produced hybrid electric tram powered by hydrogen fuel cells has begun operating in Tangshan, northern China. The ecologically sound vehicle was launched amid China’s huge pollution challenges. The world’s first hydrogen-powered tram began its commercial operations in Tangshan, one of China's oldest industrial cities not far from the capital, the state-run Xinhua news agency reported Friday. It was developed by the China Railway Rolling Stock Corporation (CRRC) in 2015. The ecologically-friendly tram emits only water without any pollutants. It does not produce any nitrogen oxides, as the temperature of the reaction inside the fuel cell is kept under 100 degrees Celsius. It has three carriages with 66 seats and can run for 40 kilometers at a maximum speed of 70 kilometers per hour consuming 12 kilograms of hydrogen. It can be refueled in just 15 minutes. The coach rides on a 136-year-old railway line and connects several industrial heritage sites of Tangshan. 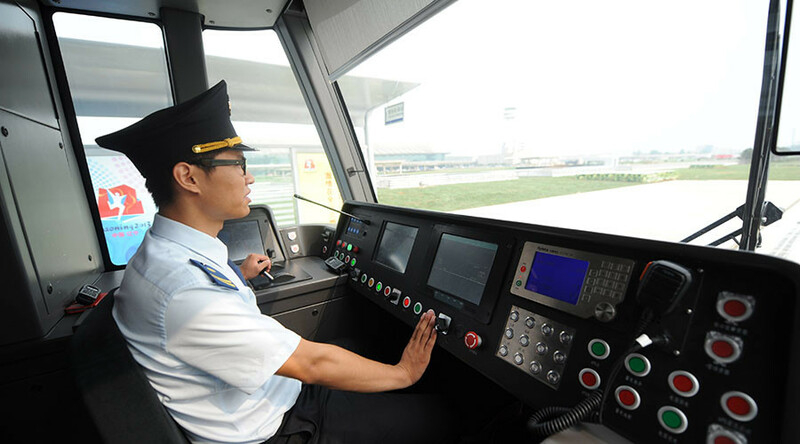 Earlier this year, a contract was signed for the train’s commercial use in Foshan City in south China's Guangdong Province. Еight hydrogen-powered tramcars will be manufactured according to the deal. China has been struggling with air pollution for years, with its cities often blanketed in harmful thick smog. On Friday, a yellow smog alert was issued for the Chinese capital Beijing and its suburbs, which were covered with dense fog causing highway closures.